The Korean government says it understands that we're living in a tech-based information age they've decided to amp up the use of social media to reach out to potential tourists. 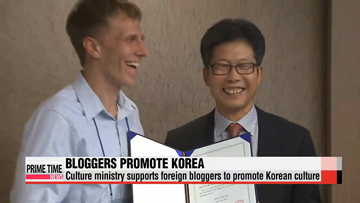 In a fourth annual event that kicked off Friday, the Ministry of Culture and Tourism invited bloggers from 23 different countries, to write about their first-hand experiences in Korea. The selected bloggers will get special support and the chance to take in various cultural events throughout the nation, so they can continue to write about and promote Korean culture to share with the rest of the world.